Around 80% of cats over 3 years’ old have dental disease. When you couple this with the fact that tooth, breath and gum problems are one of the more common reasons why owners take their companion animals to the vets, it becomes even more important that we take our pets’ oral health seriously. 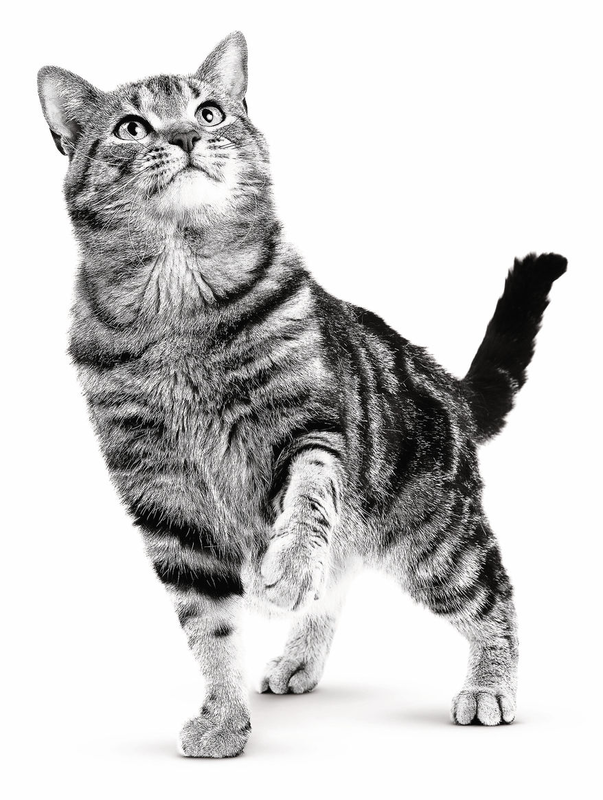 At ROYAL CANIN® we make a specific range of Oral Care cat food, designed to help reduce the build up of tartar and the formation of dental plaque. However, one of the most effective ways of reducing feline plaque/calculus is through regular brushing of your cat’s teeth. Feline tooth-brushing is not only possible but actually very do-able, especially if you train your cat to accept the brush from a young age (preferably as a kitten). 1. If possible, take a trip to see your local vet nurse, or maybe combine this trip with another visit to the vet e.g. for a routine vaccination for your cat. 2. A nurse will be able to advise you on the best products to use for your cat (specific feline brushes and toothpastes) and will be able to demonstrate how to start training your cat to accept tooth brushing. 3. NEVER use human products for brushing your pet’s teeth (cat, dog or other). Minty flavours are not appealing to pets and are more likely to damage any hard work you have already put into training your companion. Moreover, in the worst cases, many types of toothpaste designed for humans can actually be poisonous to pets and could result in excess fluoride intake or xylitol poisoning. 4. Start the training by offering your cat the feline toothpaste to lick from your finger and then move on to letting them lick it off the toothbrush. Most cats will be happy with this after a week or so of training because the feline toothpastes come in meaty flavours which they find appealing. 5. Once your cat is happy to lick the paste from the brush, try to introduce holding their lip/head as you would when brushing their teeth, whilst you let them lick. 6. After a few days of this, start to introduce touching their teeth with the brush– only for a couple of seconds at first – and then reward them with a treat and leave the training session there. 7. Gradually build up the training sessions in length and don’t be scared to use treats to encourage your pet at first. Once your cat is accustomed to having its teeth touched with the brush, you can then start to build on brushing the teeth. Always use a separate brush for each cat you own to prevent transmission of diseases. Take great care when brushing not to get bitten, “finger brushes” can often increase the risk of this happening, so should really only be used a last resort and if you are prepared to accept the risk. When starting out brushing, people often try to brush the teeth right at the front of their pet’s mouth first. Sometimes these teeth (the incisors) can be more “tickly” – so it may help if you start with the side teeth first (the canines and pre-molars) and then move on to the trickier front and back teeth, once your pet becomes more tolerant. Try to brush every day and at the same convenient time, as it will get you into a good routine. However, even every other day brushing will have some benefit. When training your kitten, take great care with delicate “milk teeth” (deciduous teeth). It is usually inadvisable to brush these (follow your vet’s advice) but you can get your kitten used to gently having their teeth tickled/touched with a tooth brush and then move onto full-scale brushing once their permanent teeth erupt. Hopefully this answered your questions about how to clean a cat’s teeth. However, if you have other questions about your cat’s teeth, your cat’s health, or other facts about your feline friend then we’d like to help – sign up to our newsletter below. As February is Pet Dental Health Month, we’ve been looking at why pets’ teeth need regular care, just as ours do. Take a look at our infographic to discover a few simple yet essential facts!